Apparently a baby is considered a 'newborn' for the first 12 weeks, which means Finn only has a few days left until he is just a baby. These first 12 weeks are both the fastest and the slowest I find. In some ways it feels like no time at all since I held my son for the first time but life before Finn seems so long ago, it already feels like he has been around forever. For each of my children, I have created a keepsake box full of memories from these early days. I hope one day we can look back together, that they can show their own children and know how loved they are. Finn's box will grow as he does, but there are so many things from this newborn stage that I want to keep hold of. His first babygrow, the one I picked out for him after nearly an hour searching for the perfect one. I bought it the same day we found out that he was a boy, and it was both the first sleepsuit he ever wore, and his 'coming home outfit' from the hospital. He actually still fits in it, but as soon as it is outgrown, it will be saved. His hospital tags that show just how tiny his little ankles were, back when his official name was just 'baby'. I also have the first hospital tags with his name on them, after 10 days of deliberation we finally decided, and the hospital staff gave me his first named tags to put on his legs myself. A newspaper from the day he was born - buying this wasn't top of my to-do list as I held my new baby, but for each of my boys, my mum has bought them a newspaper that will remind them of the world they were born into. First photos are so special, and whilst Finn will grow up in a digital age, I think having a paper copy is priceless, and he will have some of my favourite photos from the early days printed out to store in his keepsake box. 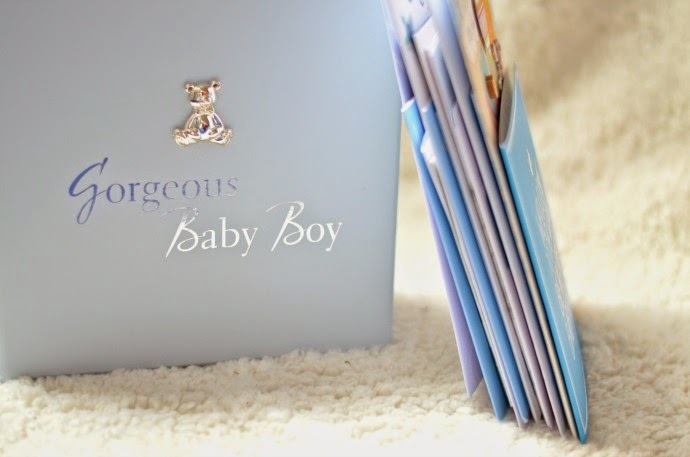 When our baby arrived, our family and friends helped us welcome him, and their cards will always be treasured. 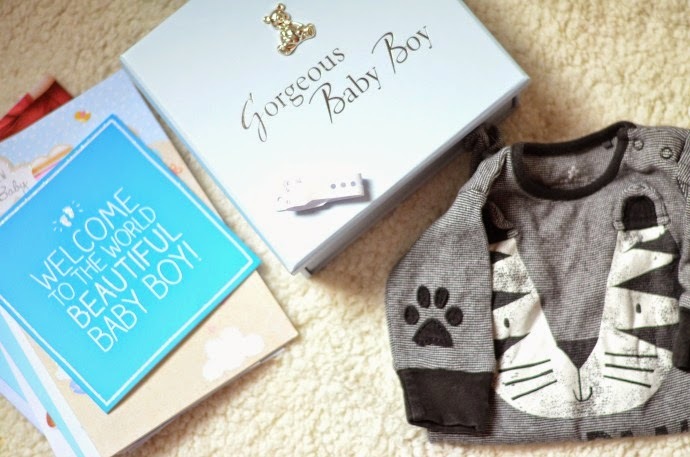 Finn will have all his 'welcome to the world' cards in his keepsake box to remind him how it wasn't just us who were excited for his arrival. I still have all the scan photos, the little momentos from the very first time we saw our baby boy, and these are also in his special box. We only had two scans with Finn, but I love the image of him hi5-ing the camera. I still need to do some hand and footprints for Finn's baby keepsake box ( I have a kit from Tesco), he is still so tiny, and when he is a grown man, I know we will love looking back and remembering how big my little finger looked in his hand. I know I will add more bits over the years, first shoes when he takes his first steps, the first masterpiece he creates, badges and certificates that he is proud of and plenty more. What did you save for your children?